Whenever you fancy having dosa for breakfast, you need not keep ground batter ready. There are other quick methods of making dosa. 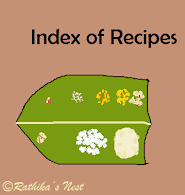 Maida dosa (மைதா தோசை) is one of those recipes you can make in a jiffy, as hardly any preparation is needed. It is tasty, filling and goes well with coconut chutney. Maida (refined wheat flour or all purpose flour) is made from wheat after its outer layer is removed, and is extensively used in cooking and baking. Fiber content of maida is lesser than whole wheat flour or atta. How to make urad dhal flour: Roast urad dhal in a kadai till the dhal turns golden brown in color. Allow it to cool. Then grind the dhal using a dry grinder into a fine powder. Alternatively, you can grind the dhal in a neighborhood flour mill. You can store the flour in an air tight container and use it when required. How to prepare the batter: Mix maida, rice flour, urad dhal flour and salt in a bowl with two tumblers (400ml) of water. Use a hand blender and mix very well taking care that no lumps are formed. Add jeera to the batter. The batter should be slightly thick and of pouring consistency. If it is thin, you will find it difficult to make dosas. However, maida dosa batter should be thicker than rava dosa batter. You may mix the batter on the previous evening, and make dosas the next morning. This gives a slight sour taste to the dosa. How to prepare dosas: Heat dosa tava on medium flame. Pour one big hollow ladleful of batter on the center of the hot tava and gently spread it thinly around in circular motions with the ladle. Pour a teaspoon of oil around the dosa. Allow it to cook for a minute, by which time it turns golden brown. Turnover and cook the other side. Remove from fire. Serve hot with chutney and sambar.